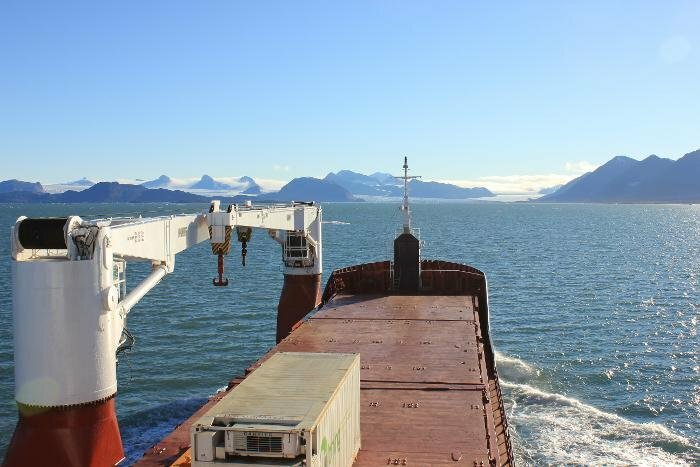 The cargo ship MS Norbjørn operates on the world's northernmost cargo route between Tromsø and Longyearbyen on Spitsbergen in the Svalbard archipelago. The ship calls at Ny-Ålesund on half of its crossings from Tromsø. The Ferrybox system has been installed on MS Norbjørn since October 2008. 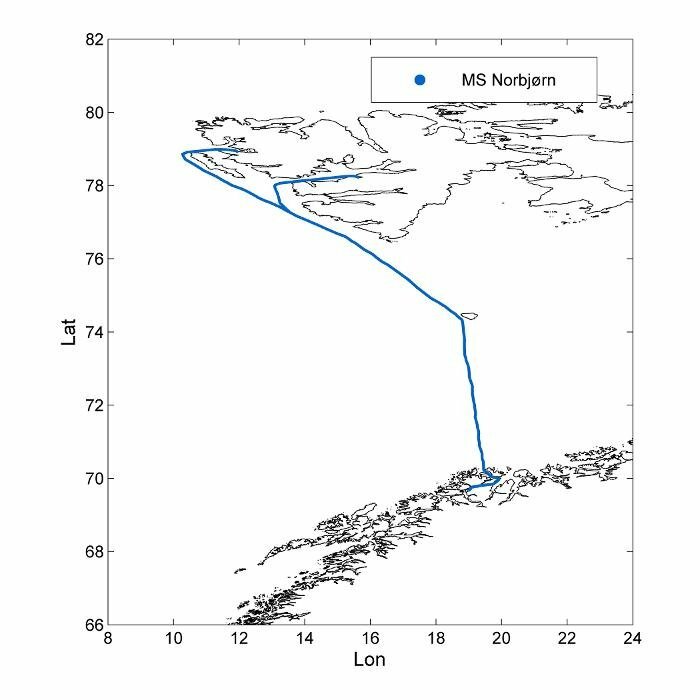 The monitoring aboard the cargo ship is part of the surveillance of the High North-areas by Norway's Norwegian Environment Agency. The Fram Centre in Tromsø also uses data from the system in its research activities. 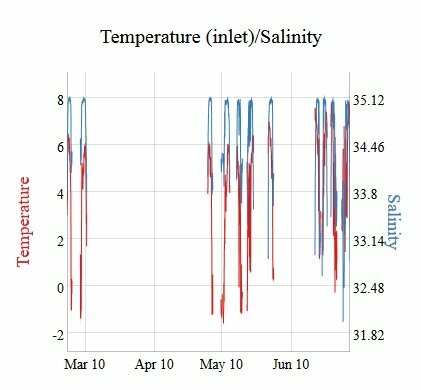 Example of interactive graphs for Ferrybox.